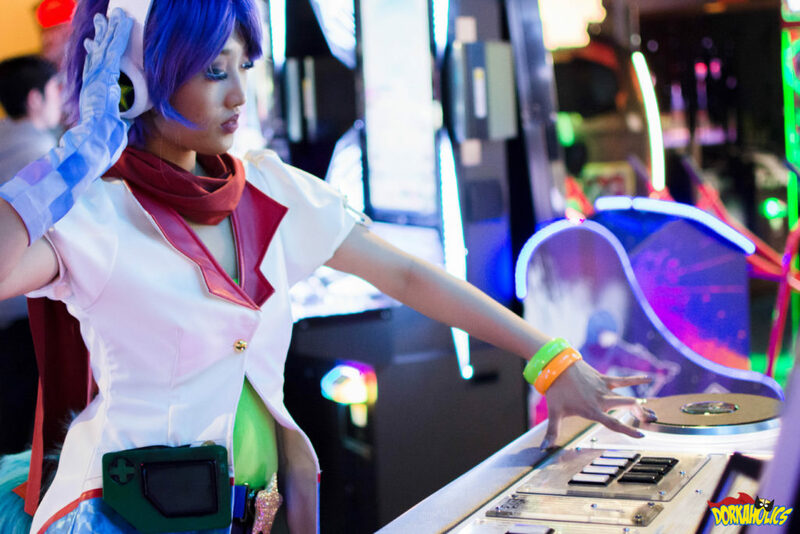 Our Cosplay Spotlight shines on Cinecosu this month. 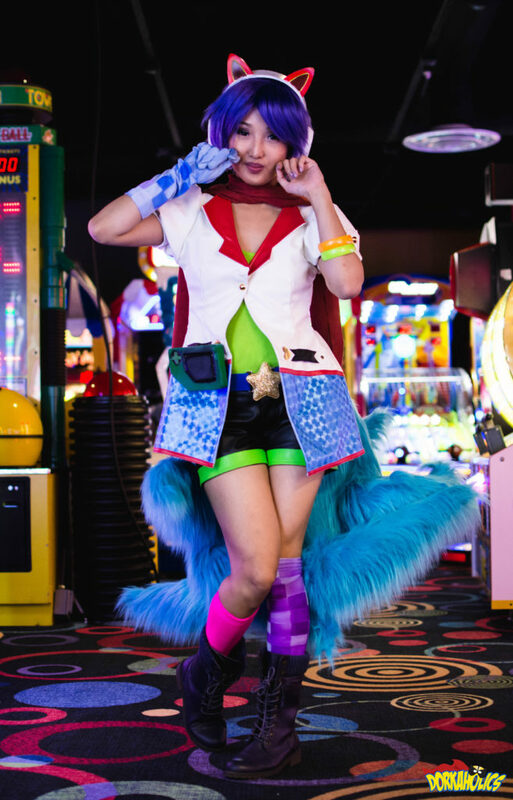 We met up with her at the local arcade for a photo shoot with Cinecosu as Arcade Ahri from League of Legends. 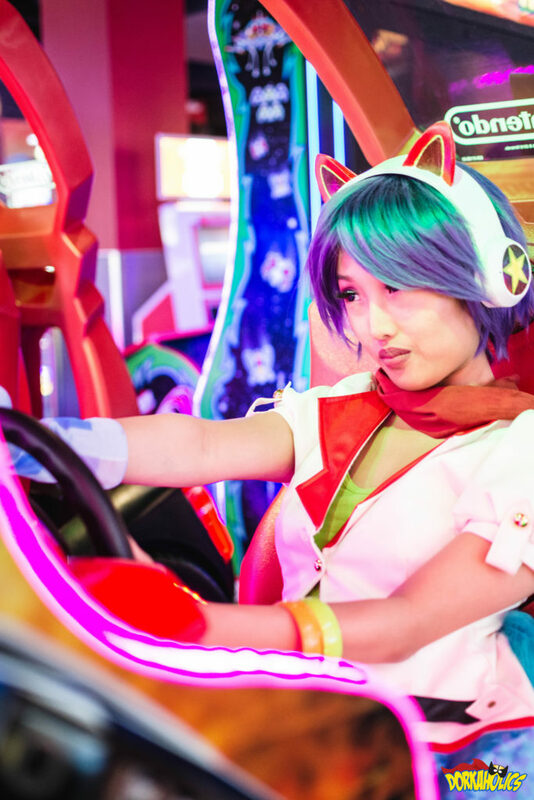 Check out the amazing shots we took from this photo shoot, and be sure to read our interview with her. 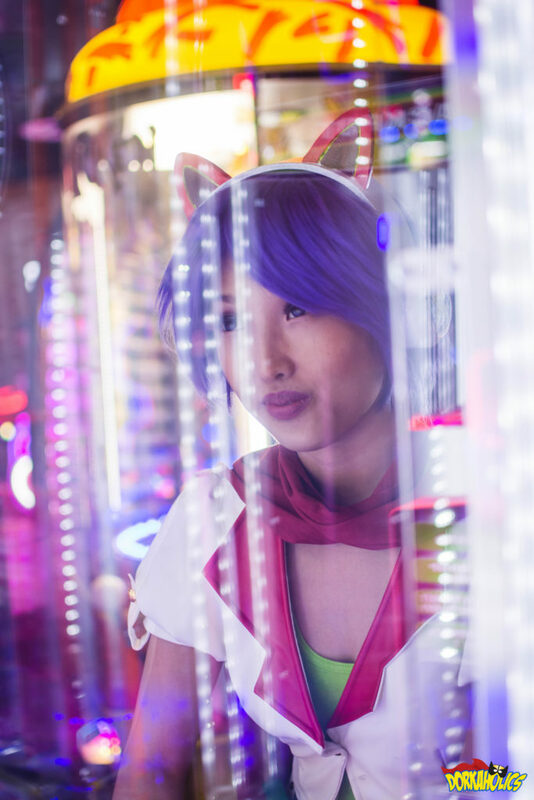 Stay tuned for the release of the full cosplay feature video featuring Cinecosu as Arcade Ahri! 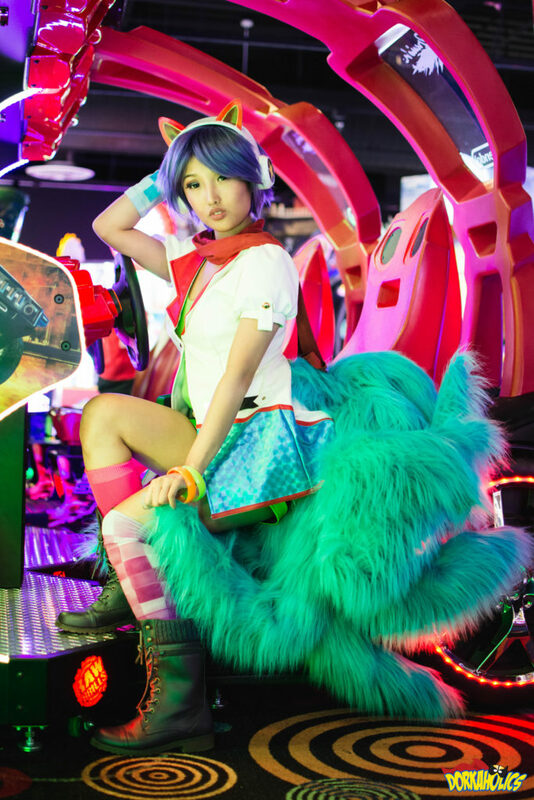 This Arcade Ahri DJ’s part-time. 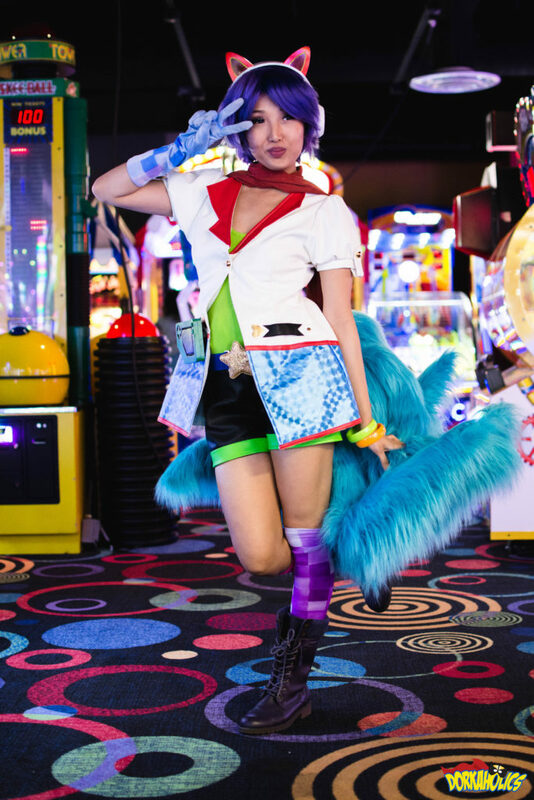 Photo by Magie Hue. 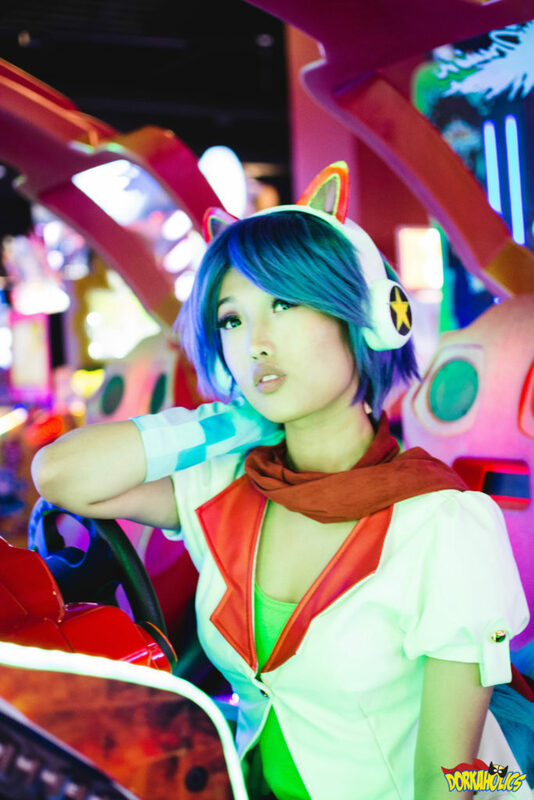 Whoa, import model Ahri? Photo by Magie Hue. Don’t stare too long, it’s like staring at a green light. Photo by Magie Hue. Vroom. Vroom. Photo by Magie Hue. Eye on the prize. Photo by Magie Hue. Winner. Winner. Chicken dinner. Photo by Magie Hue. Peace sign! Photo by Magie Hue. Super! Kawaii! Photo by Magie Hue. 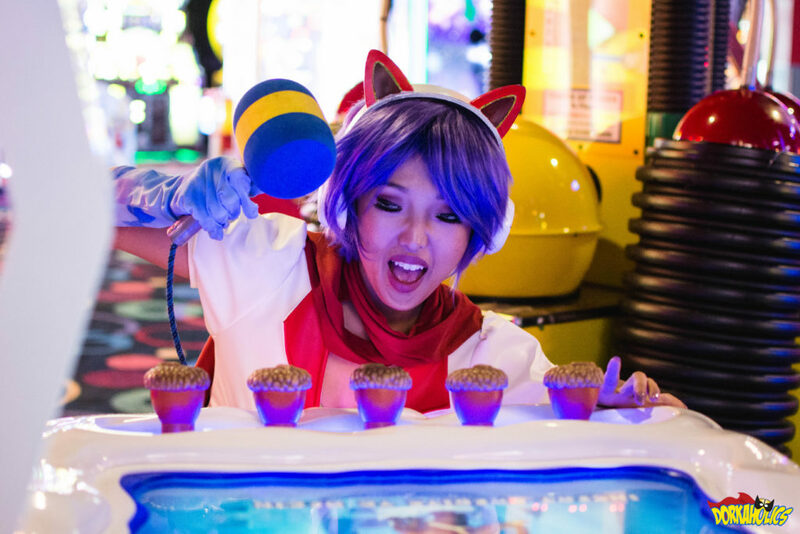 Whack-a-mole! I mean nuts? Note to self: not edible. Photo by Magie Hue. Wow. 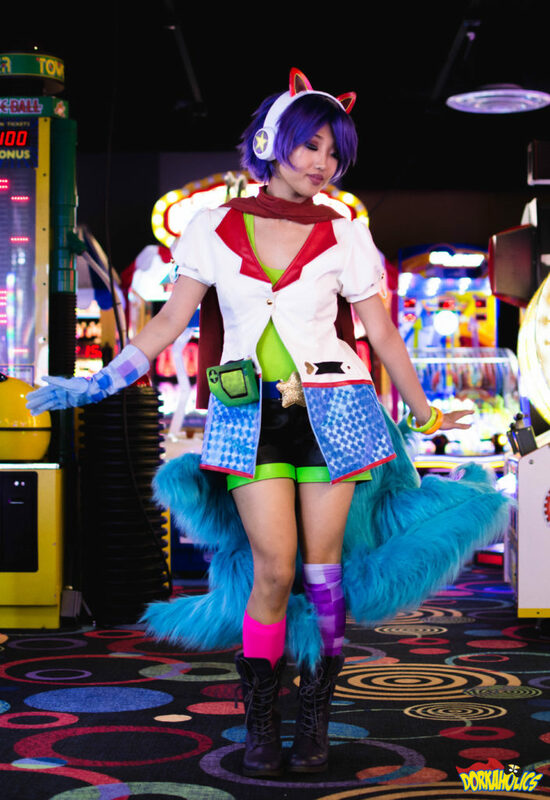 Sugoi! Notice me, senpai! Photo by Magie Hue. 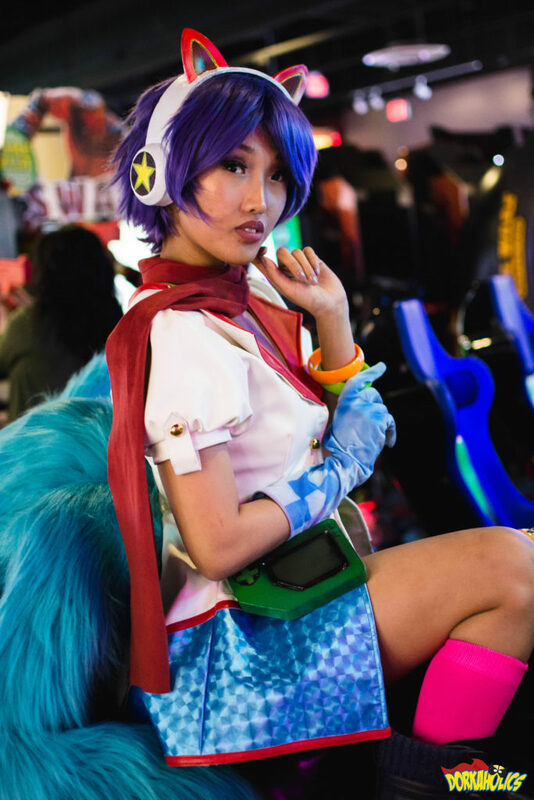 Please let us know if there is any cosplayer you feel is doing an amazing job! We would love to interview them and do a photo shoot! Until next time, dork on Dorkaholics!